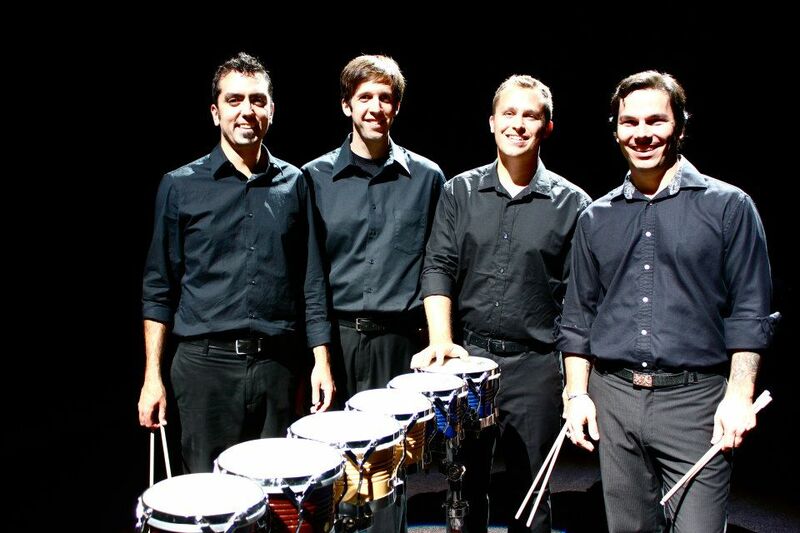 So over the holidays I solidified a commission with the Portland Percussion Group. They put in a concert proposal for PASIC 2013 and one of the pieces for that concert will be written by me. The theme for the concert is essentially the Pacific Northwest – the concert is going to spotlight composers that have connection to the Pacific Northwest, and the group has asked me to write a piece that has a Pacific Northwest theme, the common examples being things like rain and mountains. As i’ve started trying to come up with ideas for the piece, I find myself steering away from those two examples specifically because I feel that those are very easy targets – first, it’s easy to associate the PNW with rain and mountains and i wouldn’t be surprised if half of the repertoire on the concert has one of those two things as a theme. Second, there are a lot of pieces in general that use rain and/or mountains as thematic content, and aside from my potential use of interactive technology with Max or Live with the highly-anticipated-but-yet-to-be-released Leap Motion, I don’t feel like I’d be creating anything that hasn’t been done a million times already. So I’m putting some thought into more atypical PNW theme to use for the piece. One idea that popped into my head was to use the theme of “grunge music” since that’s associated with Seattle, but I ultimately rejected that because i thought it would be too difficult to pull off with a percussion quartet in addition to its lack of relevance in pop music these days. We’ll see what sort of ideas pop into my head in the next week or so. So i keep in regular contact with one of my old high school friends, Kate, who currently teaches music history at the University of Hawaii. We ended up talking about my wind ensemble piece, beauty…beholder, since that project has occupied all of my free time these past couple of weeks as i’m in final manuscript mode and pretty much ready to give it to Matt before i leave for vacation, and this has spurned a tentative plan for me to talk about it for one of her classes in Hawaii. 1. Deadline. I’m at the beginning of October and the piece needs to be done by Christmas. The scope and concept i have for the piece is incredibly complex – there’s a lot that i want the piece to accomplish and to do it in the right way, i feel like i’ll need a few months to sketch and compose the piece before i even deal with first level of revisions. 2. Time restraints. The piece has to fit within a time restraint of about 7-10 minutes, and given the amount of musical material that i have to work with and how i want to develop it, i don’t think that that’s enough time for me to say what i want to say. I’m still going to hold on to the work that i’ve done already and maybe make some progress on it when i have more spare time energy in the spring. The piece has started taking shape, and i think it has a lot of potential, i just need to give it its proper time and weight so that it doesn’t end up being something much less than it should be or ends up being close to what i want but in the sacrifice of me putting way too much pressure and stress on myself between now and the holidays. So what i think is going to happen is i’m going to take the sketchwork of a piece i did in a Composition for Orchestra class i took in grad school, revise it and reflesh it out for wind ensemble. There’s two sections of the piece that i think are really strong, it’s just a matter of how to make the rest of the piece strong as well. I’ll probably start looking at that starting on Thursday.